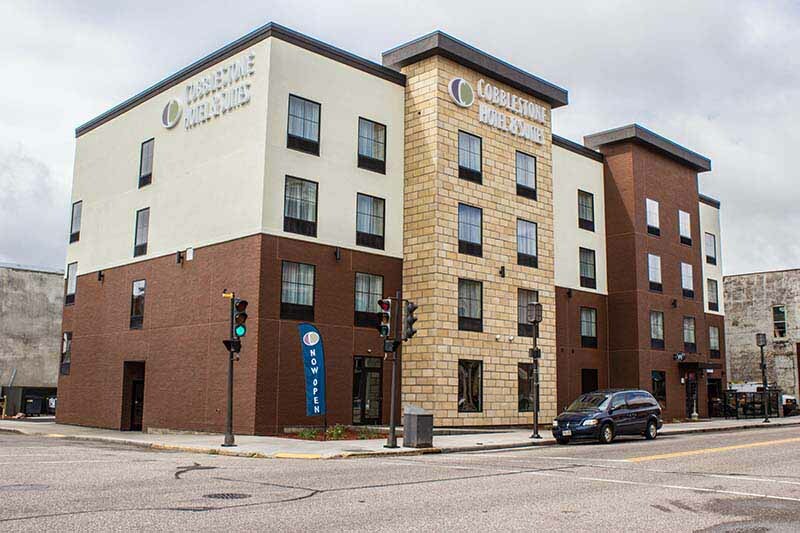 Welcome to the Cobblestone Hotel & Suites in Chippewa Falls, Wisconsin. Our beautiful hotel is conveniently located near everything that Chippewa Falls, Wisconsin has to offer including The Leinenkugel Brewery, St. Joseph’s Hospital, Sacred Heart Hospital, Wissota Airport, Chippewa Valley Technical College, Lakeland College – Chippewa Valley Center, and more. Our hotel provides easy access for traveling to and from U.S. Highway 53, as well as Highways 124, 178, and 29. Located north of Interstate 94, our hotel is within 15 miles of Eau Claire, Wisconsin. In town for business? The Cobblestone Hotel & Suites of Chippewa Falls, Wisconsin offers easy access to Cray Inc., Mason Companies, TTM Technologies, SGI Inc., ITW Deltar, Associated Milk Producers, Berry Plastics, Great Northern Corp, Kuss Filtration, Quality Plastic Packaging, Spectrum Industries, Duncan Creek Manufacturing, Rex Systems, and much more! In town for some fun? Check out The Leinenkugel Brewery, Irvine Park, Foreign 5, Lucy’s Delicatessen, Mahli Thai Restaurant, James Sheeley House Restaurant, Bresina’s Old Home Restaurant, Connell’s Supper Club, Italiano’s Pizzaria & Bar, The View, Sherri Jo’s Wayside, and more.